Bruno Bertani entered the creative world as an Art Director at Norton in 1994 and later joined the McCann Erickson creative team. 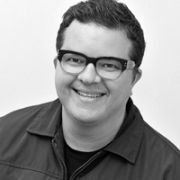 He has now been the head of his company, Indústria Nacional Design, for ten years. Over his career he has been in charge or worked in the fields of graphic design, POS, branding, packaging, webdesign, events, and new products. His clients have included L’Oreal, Coca-Cola, MTV, Brasil Telecom, Petrobras, Nike, Rio City Government, Rio State Government, and NGO’s, such as Grupo Arco-Íris, Grupo Pella Vida and Viva Rio.